The neatnik in me hates seeing my iPhone lying on my bedside table with its charging cable dangling over the edge. But spendthrift that I am, I’m unwilling to cough up $40 for an official Apple Lightning Dock. Here’s a spiffy, budget-minded alternative. 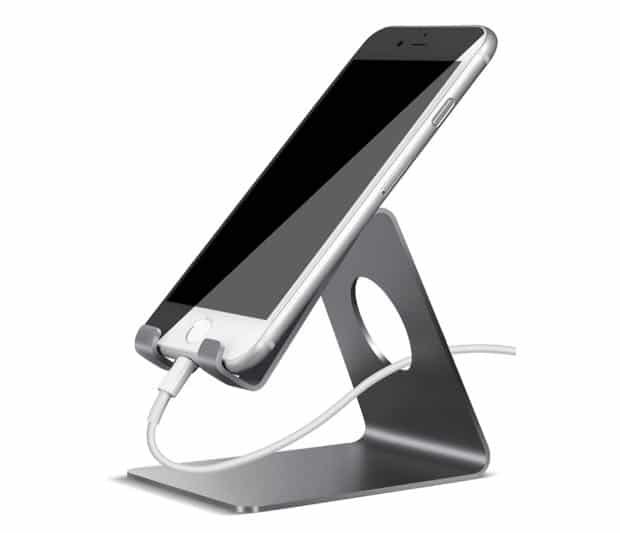 On sale for $9, the sleek, aluminum alloy Lamicall iPhone Dock (78% off) works with both iPhones and Android phones, propping them up for easy viewing on your desk or nightstand. The dock’s rubber feet help prevent slippage and scratching, while the circular opening in back is perfect for keeping charging cables under control.